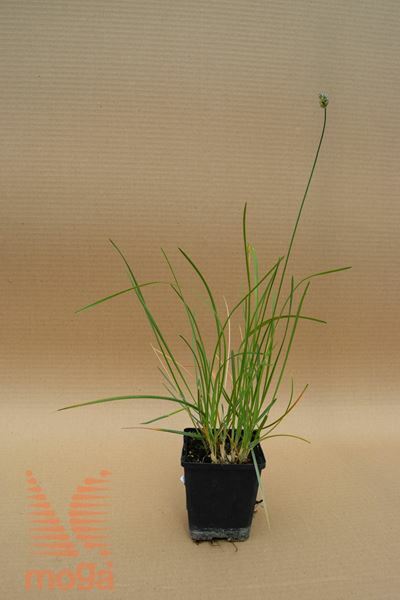 Small, clump-forming, upright evergreen ornamental grass, perennial (H 40-50 cm, W 30-40 cm). Leaves upright to open, smooth, grey-green to green. Flowers in big, compact, upright spikes, dark violet. Flowering period: June-July. Grows also in shade under tree canopies.